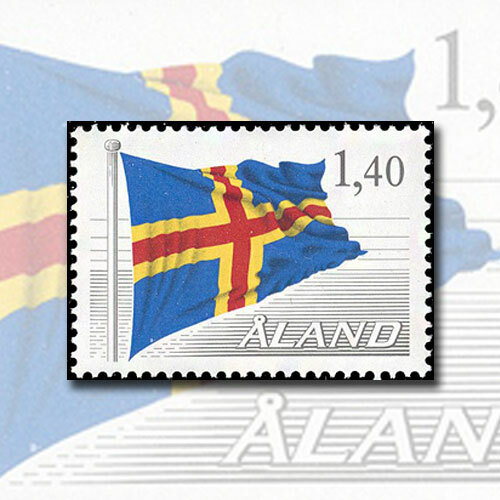 The first stamp of Aland Island was issued on 1st March 1984. The Aland Island is an independent little island North to Finland. This recently born country was under continuous struggle for existence. This small region always faced the dispute between Sweden and Finland over possession of the Island. Though, the country became autonomous in the year 1921, it was only in 1984 Aland got its own stamp. Among the postal administrations of Nordic Countries and Regions, The Aland Post is the smallest and the youngest. The first postage stamp bearing Aland as independent postal administration featured the National Flag of this independent country. The Flag with a yellow-red bright cross on Royal Blue flutters on a striped black and white background. This 1.40 Euro stamp has the name of country at the bottom right. The stamps of this tiny country have awakened an international interest among stamp collectors. All stamp issues are carefully planned and quality, beauty and postal purpose has always been its first consideration.